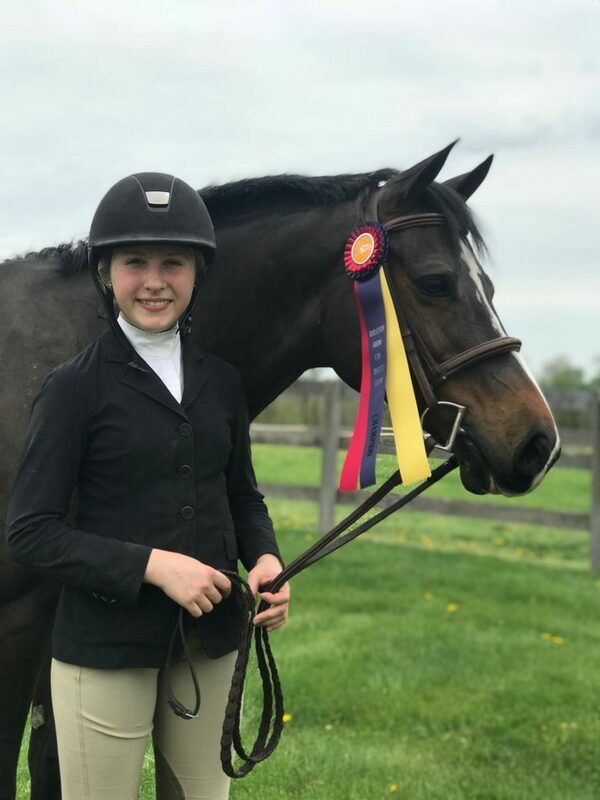 From competing national champions to child safe lesson ponies, Fox View strives to match each customer with the horse or pony that will meet all of their expectations. Contact us now and add your lifetime companion to the ever growing list below! 2009 16.2h gelding. Grandson of the legendary Sandro Hit. USEF# 5117728. 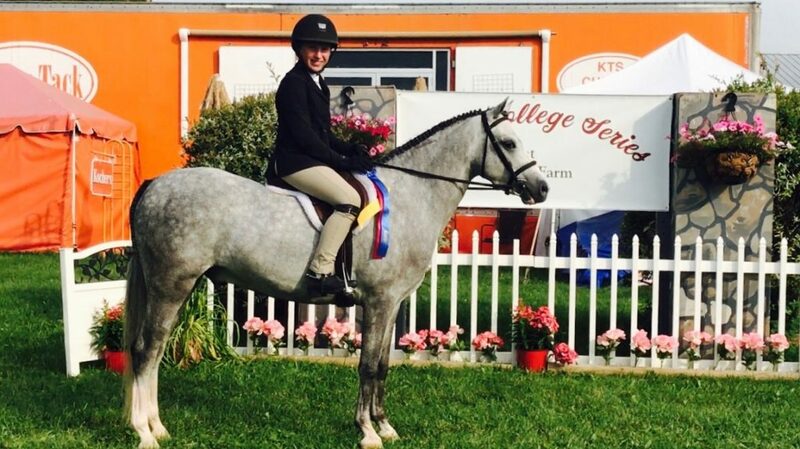 “Johnny” has earned top placings at WEF, Devon, and many other horse shows across the country. Hack winner every time! Johnny has a big beautiful rhythmical canter that makes finding great distances very easy. Always brave, willing, and pleasant to show and practice on. Auto changes. Extremely comfortable. 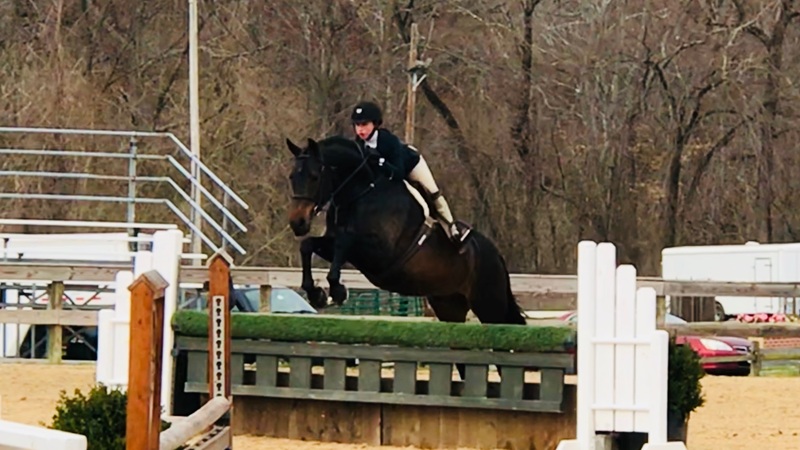 Great competitive horse for a child/adult and or a 3’3 Jr/Adult Hunter. Johnny is a great confidence builder and caretaker. 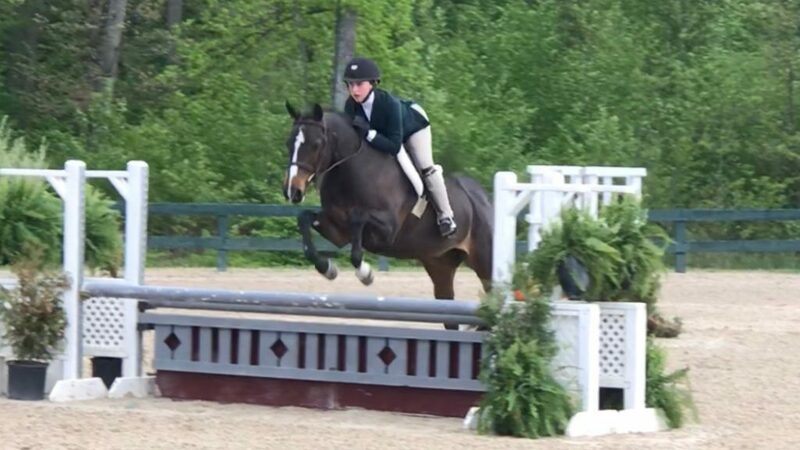 Many championships in the Children’s Hunter division, many classic wins. Currently showing successfully in the 3’3″ Junior Hunters with many championship ribbons. Current set of complete x-rays. 2003 large German Sport pony. Kentaur is a gentleman in the show ring, barn and in every other way possible. 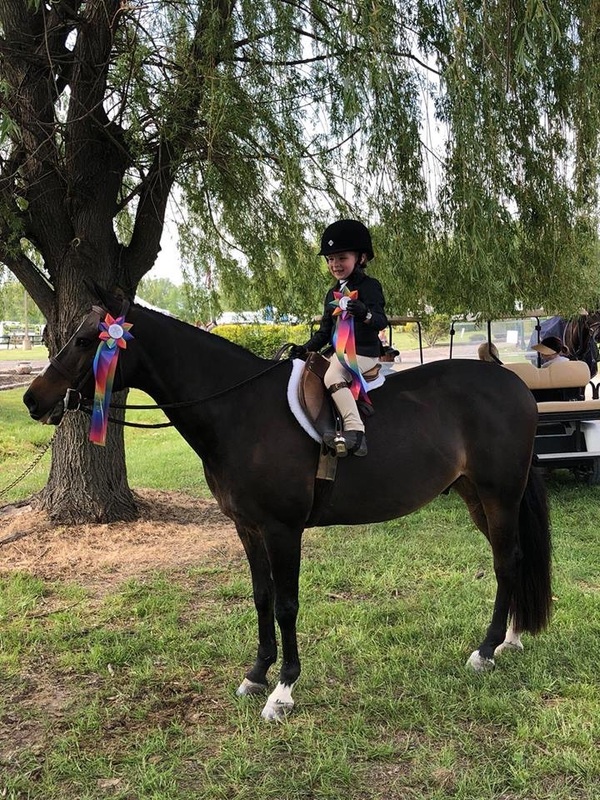 Has enough show miles to teach a child ready to learn the sport, kind enough to do the short stirrup, or for a child that is ready to be very competitive in the Pre-Child, Children’s Hunter Pony Division. This pony is auto everything. Always the hack winner. 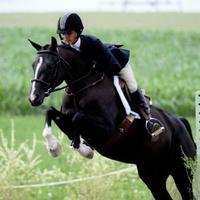 Toy Box, 2008, 12h, small welsh pony gelding. Sire is Brookside Mega Star, Dam is Davric Daioni. 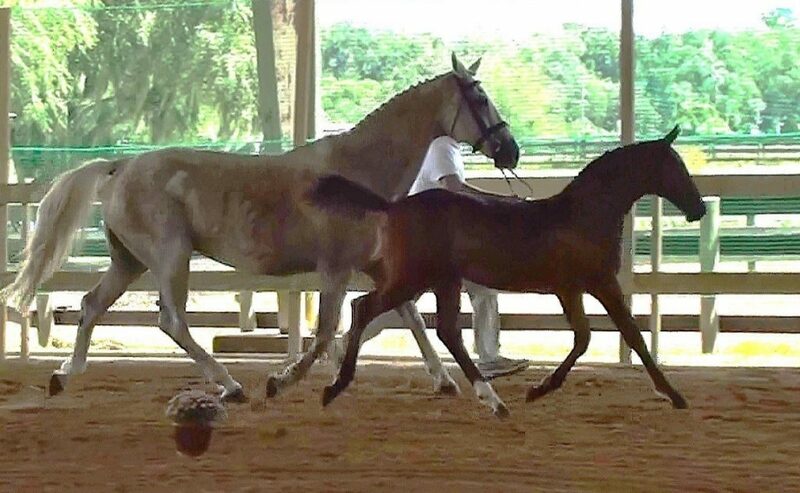 Pudge is a beautiful mover with an extremely flashy trot and huge canter stride. Very correct jumping style and always brave to the jumps. Easy changes. Pudge is always happy to do his job! 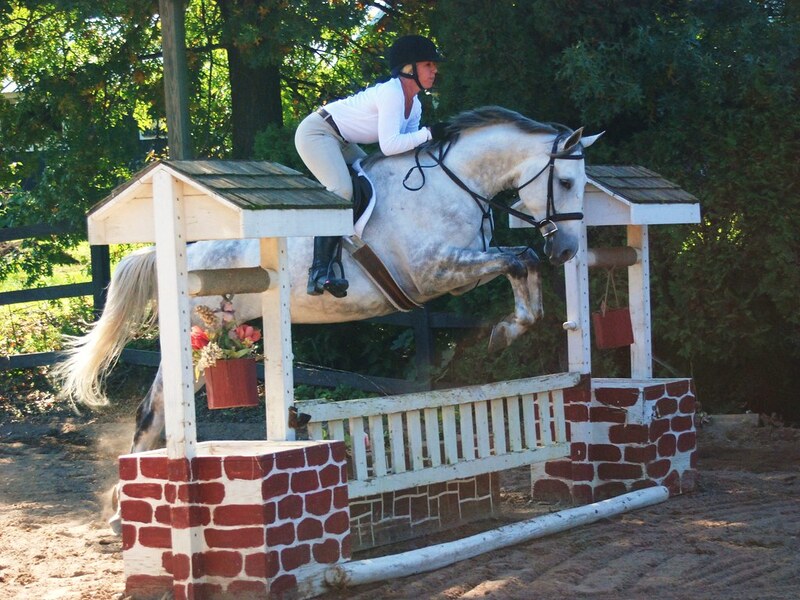 He has local miles in the Schooling Pony Hunters where he has earned many championships. Eligible Green Pony Hunter. Has the step and scope to do the division. Pudge has been used in our lesson program and is very safe and reliable. He has taught the little ones how to canter and jump. Has also been used in our summer Pony Camps. No soundness issues, vices, or bad habits. 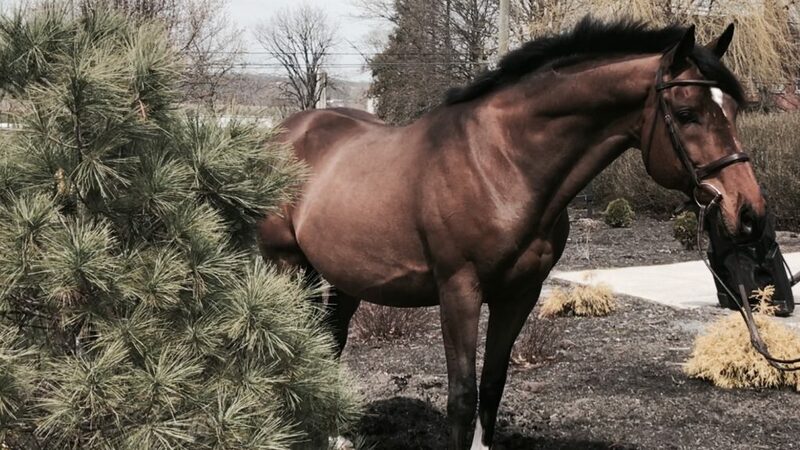 Chase is a 17.1 hand TB 13 year old gelding. Perfect horse for a tall rider. Packer all day every day. Always happy to work. Auto changes. Has shown locally in the Pre-Adult Hunters and has done hunter paces. Has not Fox Hunted, but I feel he would make a confident Fox Hunter. Amateur friendly. Loves to trail ride. UTD on everything, no vices or soundness issues. 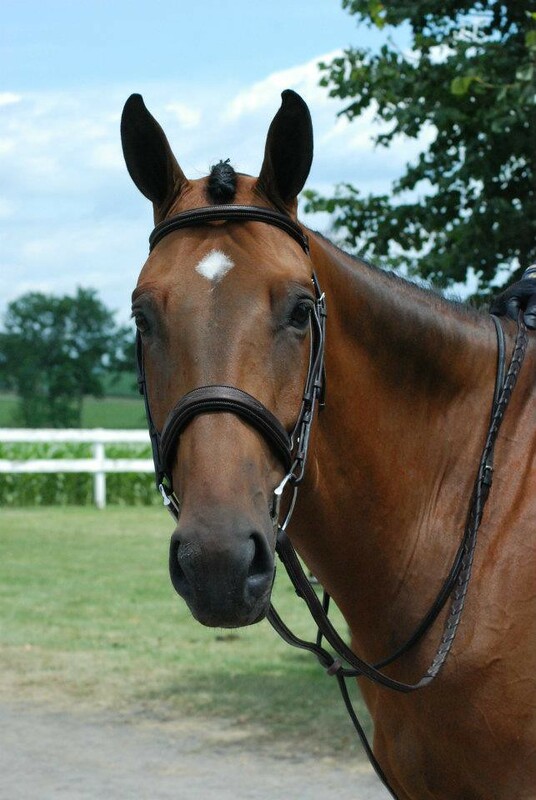 Creme de la Creme “Cookie” is a 4 year old Oldenburg mare. 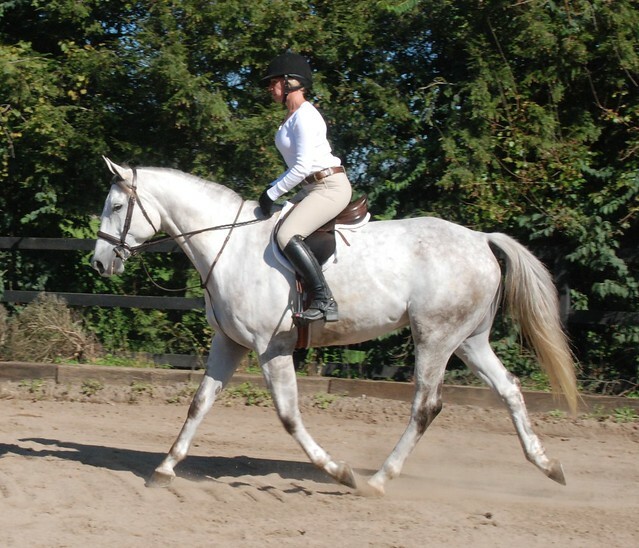 She has a beautiful hack winning trot and a great rhythmical canter with an easy lead change. 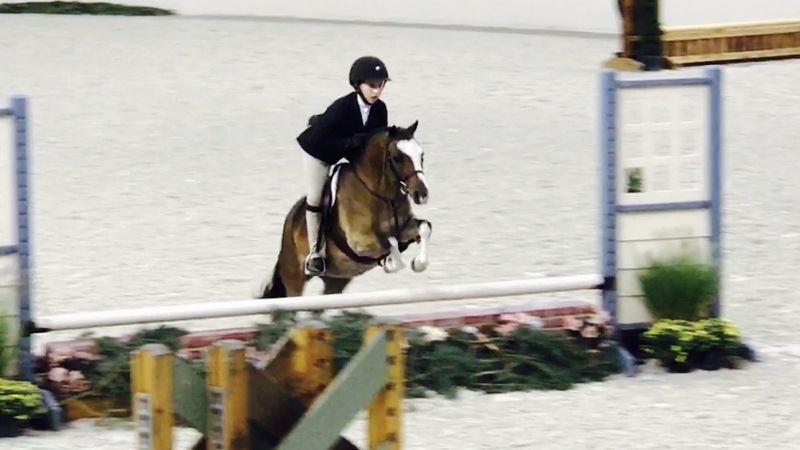 She is schooling 2’6″ courses at home and she’s very brave and never looks at the jumps. She is very comfortable and has a soft mouth and goes into a frame nicely. 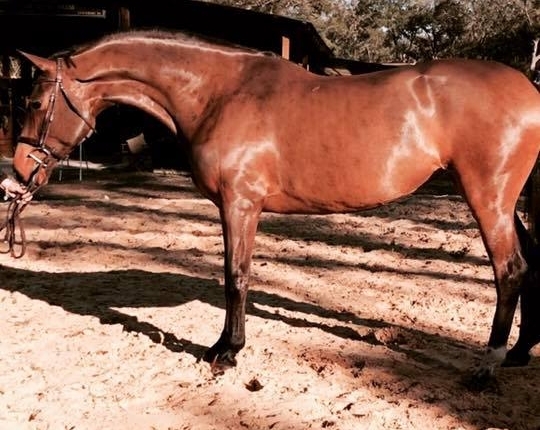 She spent the winter in Ocala off the show grounds and schooled at other farms, trail rode around, and has been exposed to a lot. 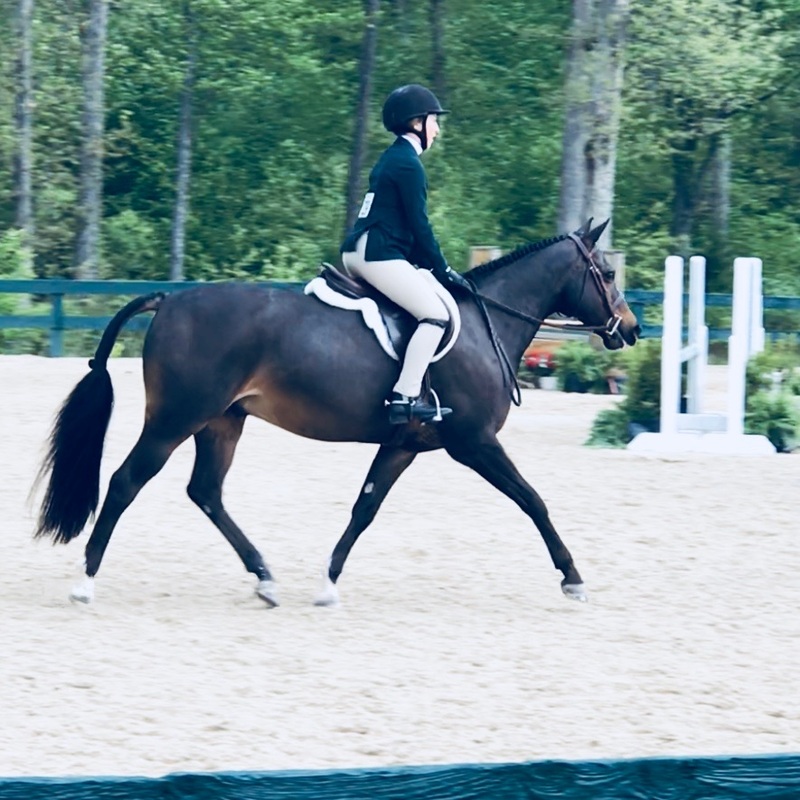 Cookie has gone to a few horse shows and she has been great each time. Child and ameteur friendly. No soundness issues. No vices or bad habits. Stands well for vet, farrier to be bathed clipped etc. UTD on all vaccines. “Somermist Jailhouse Rock” aka Panda is a 2013, 13.1 3/8hh medium welsh pony gelding. Sire is Land’s End Adagio and dam is Bewlea Pandora. Extremely easy and straight forward ride. 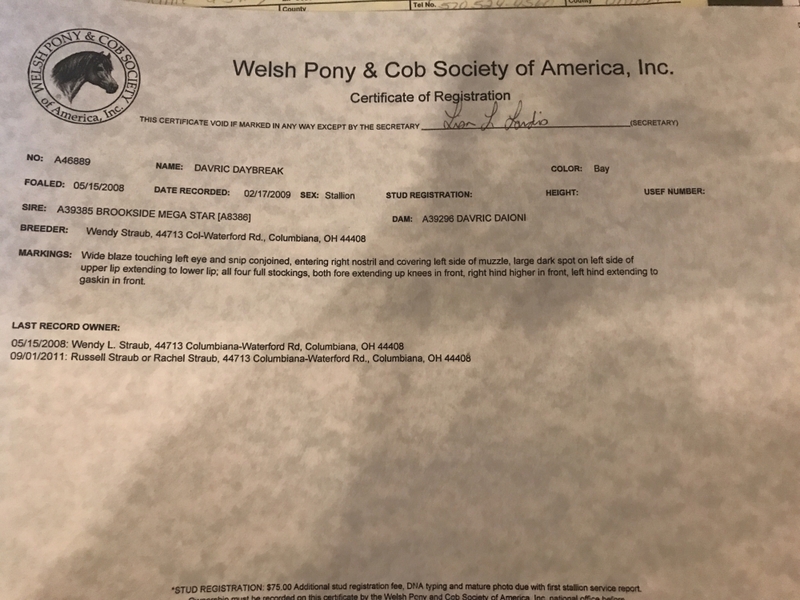 Panda began his show career at 3 1/2 years old in our local series in the Pleasure Ponies where he won several year end awards. 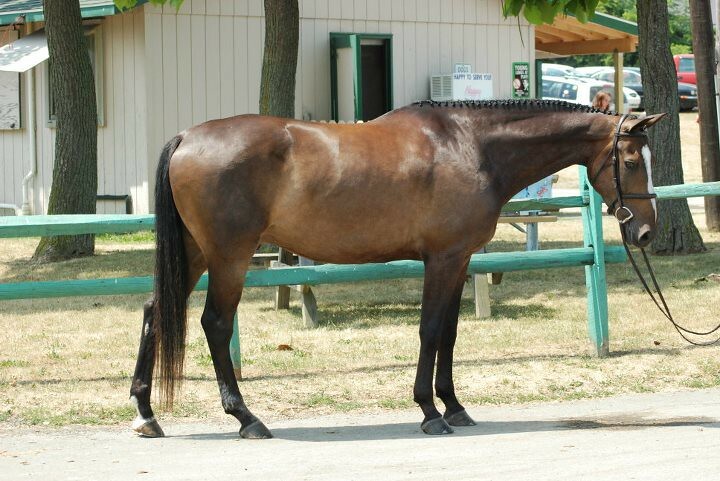 He is currently showing in the Modified Pony Hunters where he has earned numerous championships. Panda has a great brain! Always brave to the jumps with perfect changes. 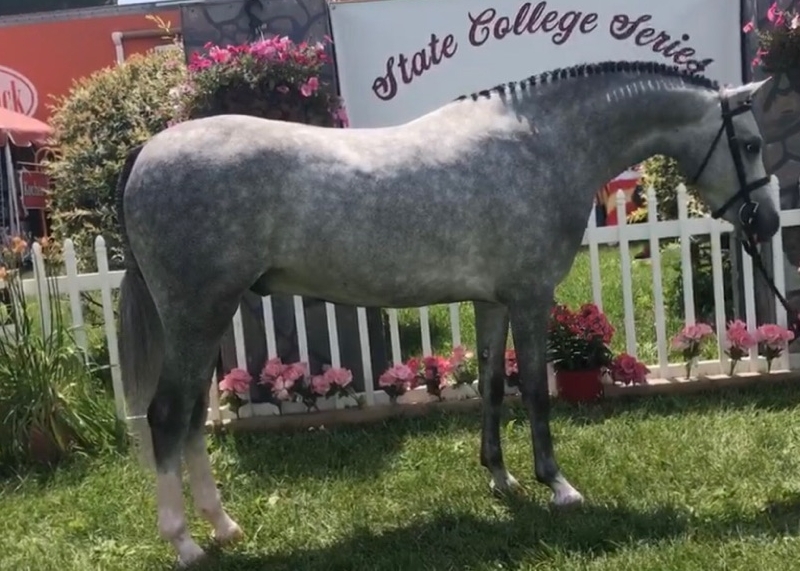 This pony can go right from the barn to the show ring. Eligible Green Pony Hunter. No soundness issues. No vices or bad habits. He is great to handle, clip, bathe, etc. He stands well for vet and farrier and gets along with with other horses and ponies. He is UTD on all shots/coggins. Harry Potter is a 13.1 hand bay Welsh cross gelding. He is very attractive with a beautiful head and neck. He is schooling a 2’6” course with lead changes and is a quiet, uncomplicated pony. 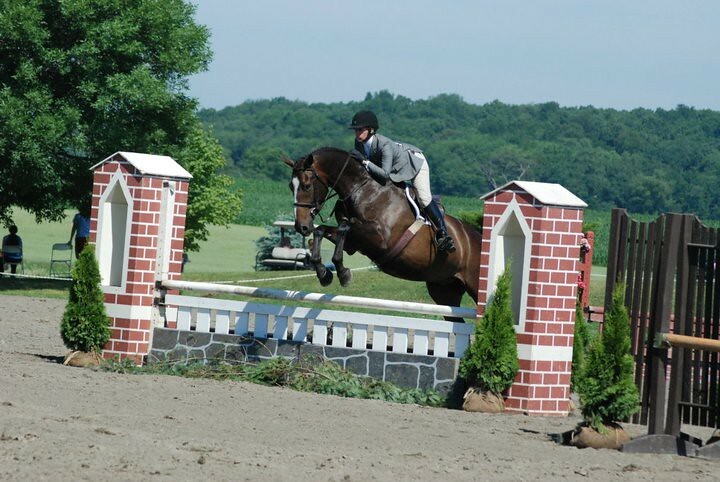 Harry is always easy to the fences and jumps in great form. 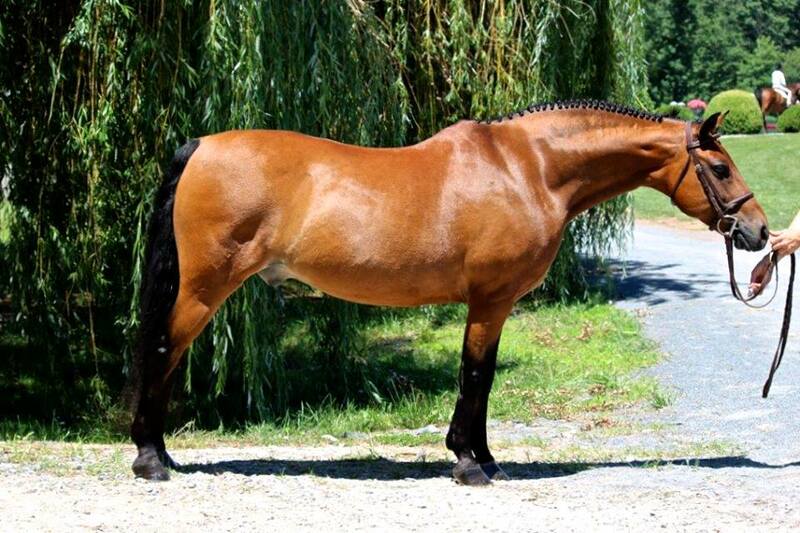 He would make a great Children’s Hunter pony and has the athletic ability to be a division pony. Loads, ties, stands for vet/farrier, etc. Harry is a timid pony on the ground towards men, but he tries his hardest to please, has the cutest little face with a personality to match, and he adores any love, treats and attention. Current on everything, no soundness issues. 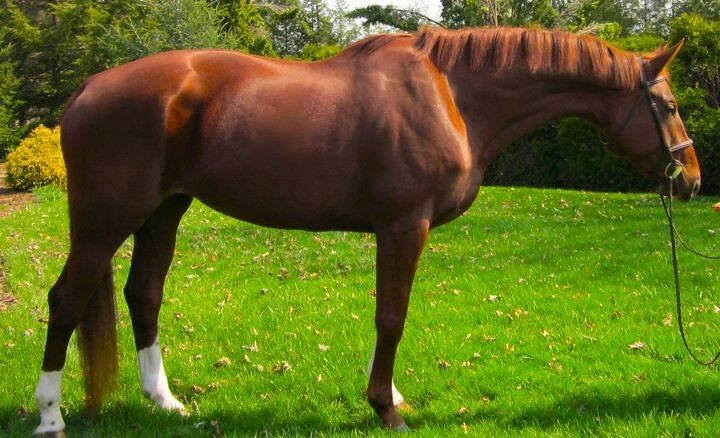 Honored Request is by the famous stallion Frohwind “JJ” is a great child/adult hunter prospect. Kind enough to do the Pre-Child and Pre-Adult Hunter. 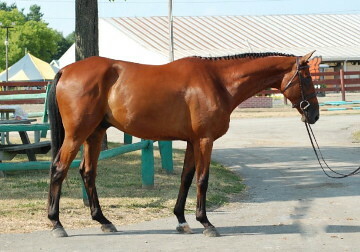 Athletic and Scopey enough to be a 3’6 division horse, and versatile enough to cross into equitation and jumper rings. Limited show record, JJ is still eligable pre-green hunter. JJ is a beautiful horse with a very pleasing way about his movement. Always jumps in correct form. UTD on all shots. 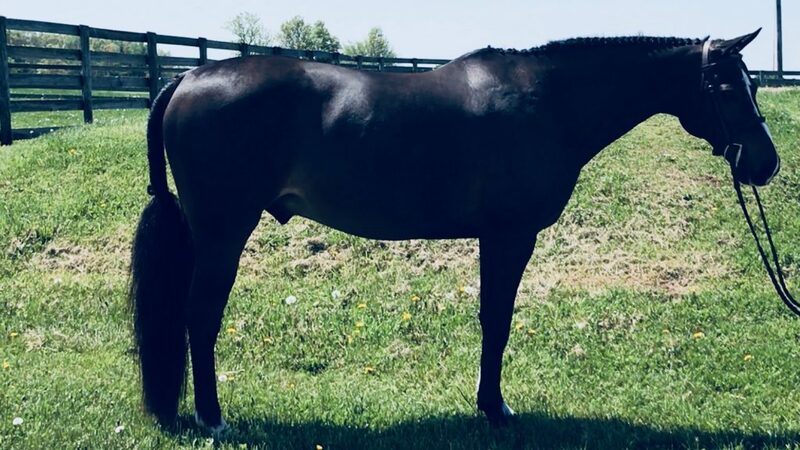 Unlimited Time “Seiko” is a 2001 Dutch Warmblood Gelding by Consul out of Spry Sprite, both outstanding horses from Iron Spring Farm . 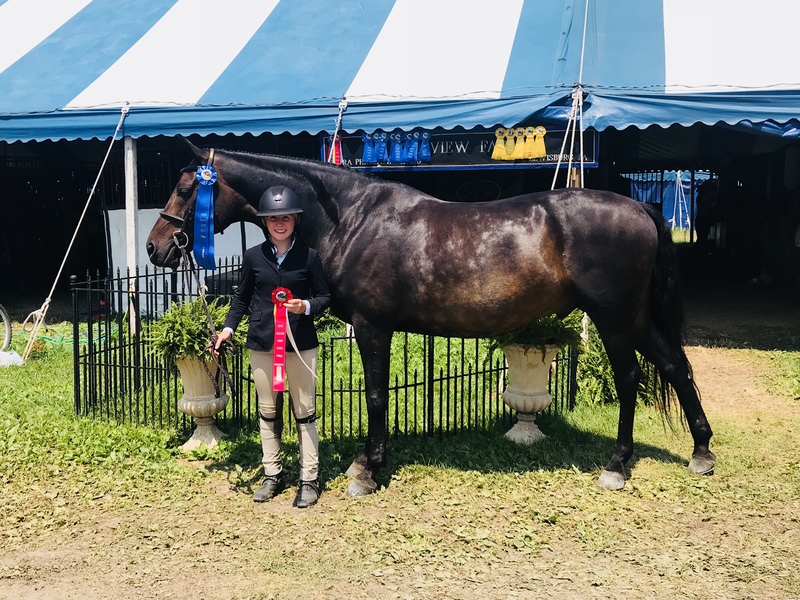 Seiko is a born winner, half brother of Judgement, with numerous champions in the first and second year Green Hunter Divisions as well is in the Junior Hunter Divisions. 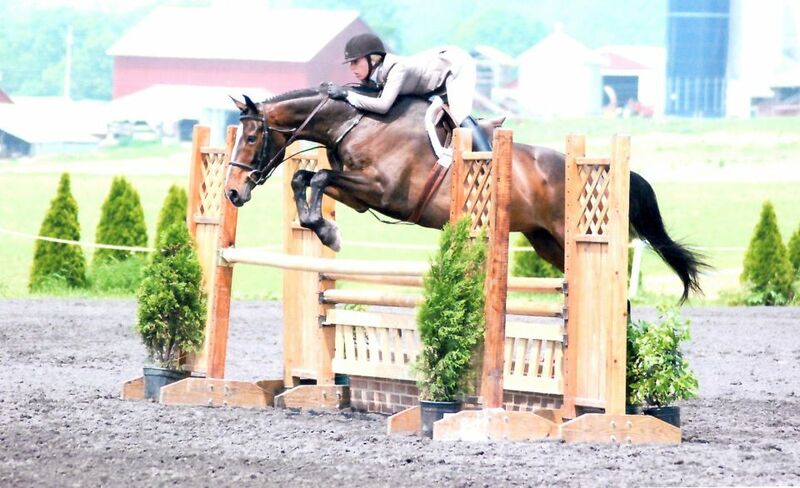 He is a tremendous athlete with a ton of scope and versatility, he has crossed over into the jumper ring and LOVED it. Seiko has one of the sweetest and easiest to get along with dispositions we have ever come across! He is a pleasure at home and gentleman at shows, knows and loves his job. 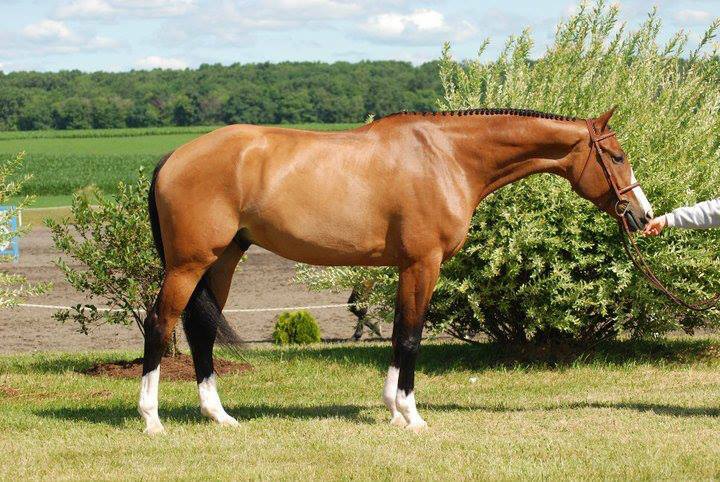 Stunning 17h 2006 Hanoverian mare with a very easy and natural classic Hunter style. 10+ mover with tons of scope and elegant confirmation. 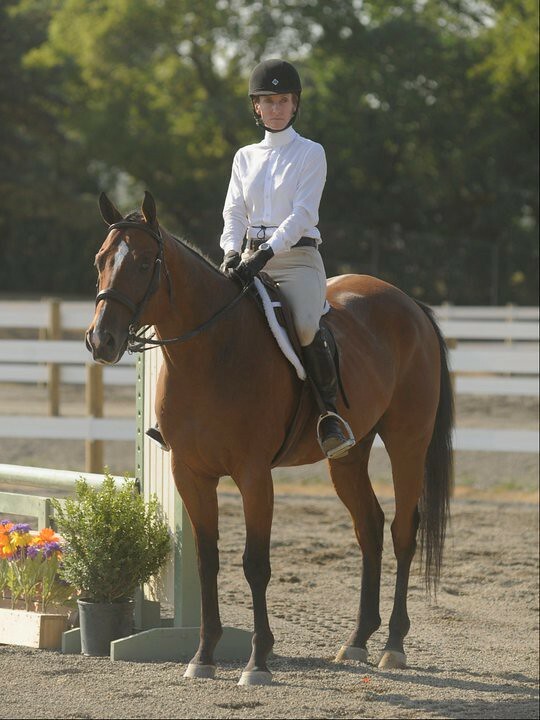 Easy to ride and get along with, Darcy is a pleasure at the shows and at home. Tons of potential! 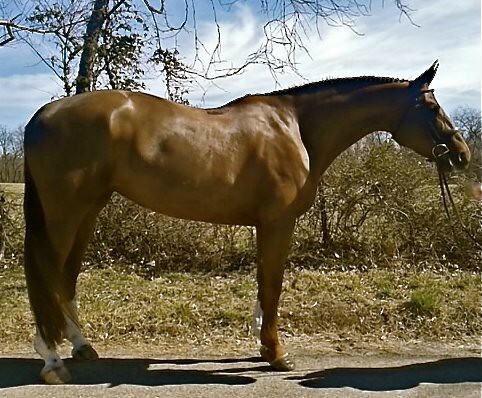 Jameson “Jimmy” 2006 16.3 1/2h bay Trakehner gelding. Pretty mover, great canter. Very correct jumping style. Currently showing successfully in the Baby Green Hunter division with auto lead changes. 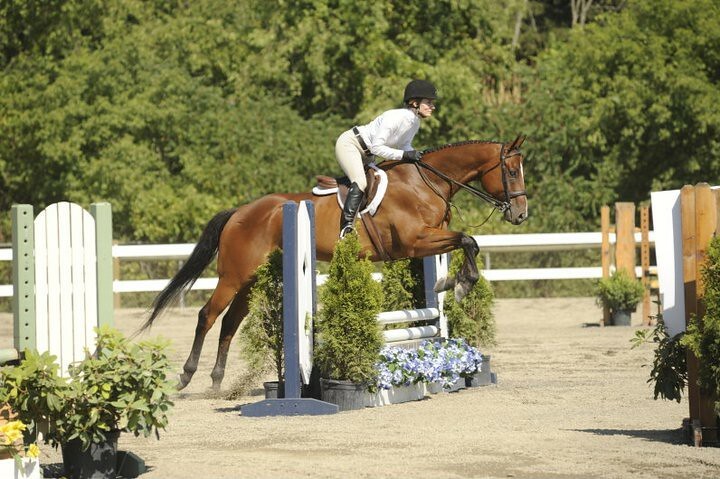 Athletic and fancy enough to compete in the green working AO or Junior hunter division. 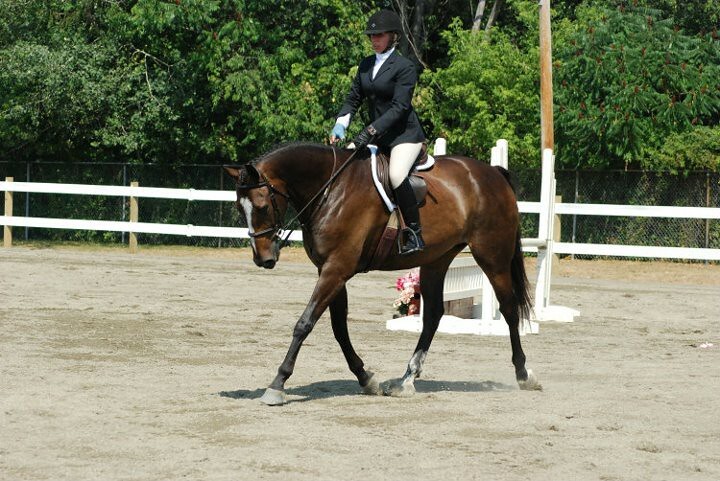 Eligible Pre Green Hunter, uncomplicated to ride, with the talent to cross over into the equitation ring. Jimmy has a soft mouth with a big comfortable canter. 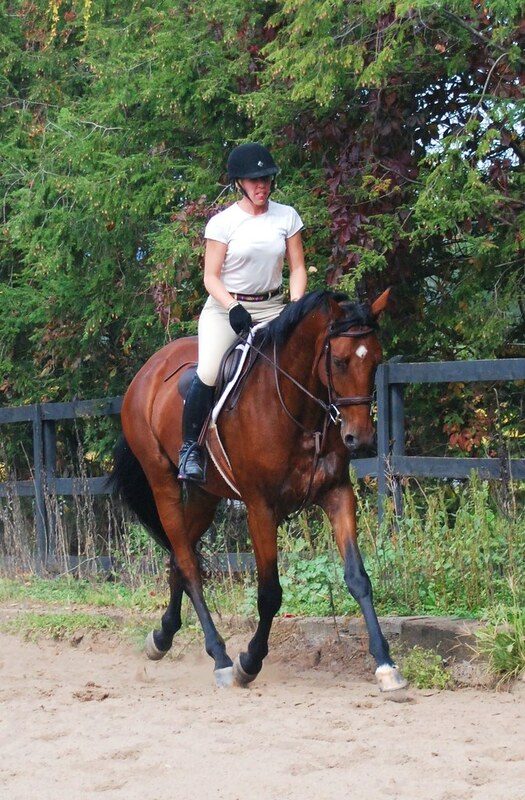 He is schooling 3’3″/3’6″ at home and is extremly uncomplicated, requiring minnimal prep for the show ring. 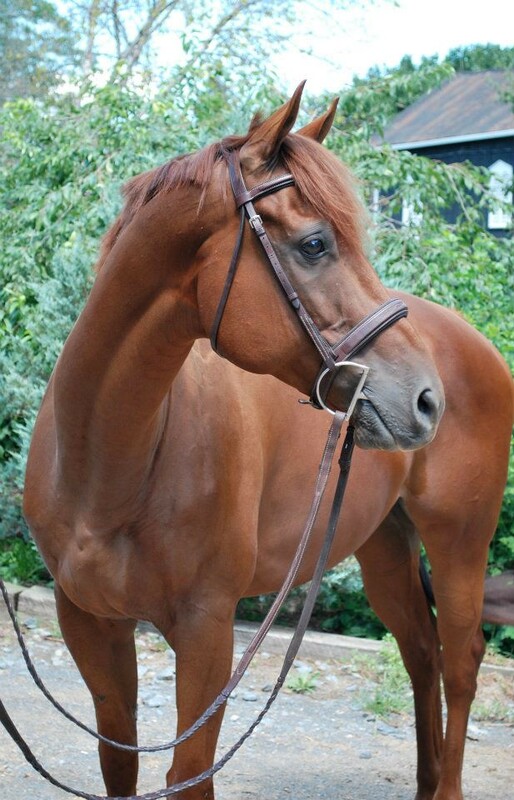 Jimmy is a people pleaser with a sweet personality, very willing to carry an intermediate rider. He clips loads and ties, as well as goes out with a group and gets along great with others. Loves to trail ride, A must see. 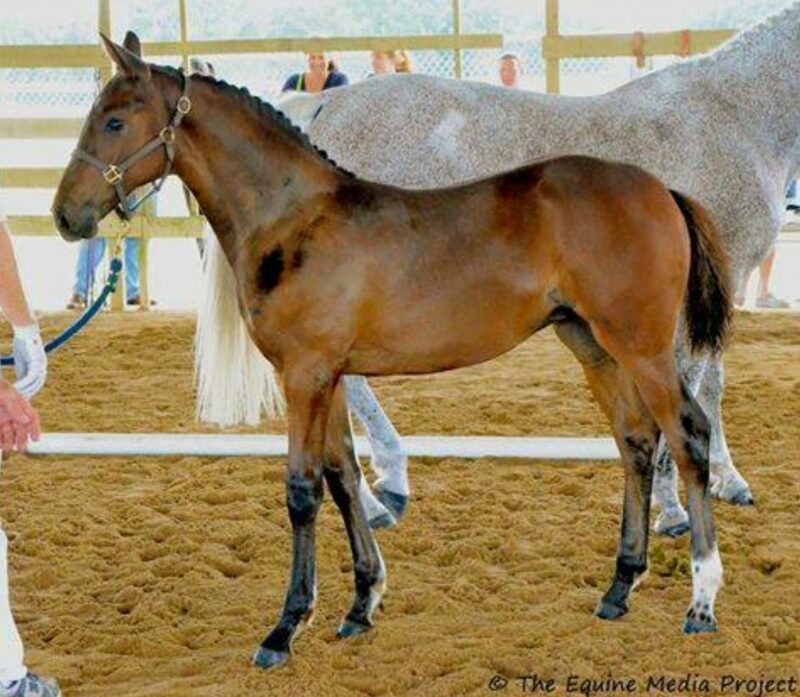 About Time, a 16.3h 2005 Dutch gelding by Consul of Iron Spring Farm: out of Spry Sprite who also stood at ISF. About Time “Tissot” is always a delight to ride and extremely easy to show. Minimal preparation to the show ring. Tissot has a very soft mouth and comfortable consistent canter with a big, soft stride. Auto lead changes. Schooling 3′-6″ at home. Currently showing in the 3′-3″ Pre Green Hunter. Eligible First Year Green Hunter. No vices or soundness issues. Tissot is already proving to be a show stopper. 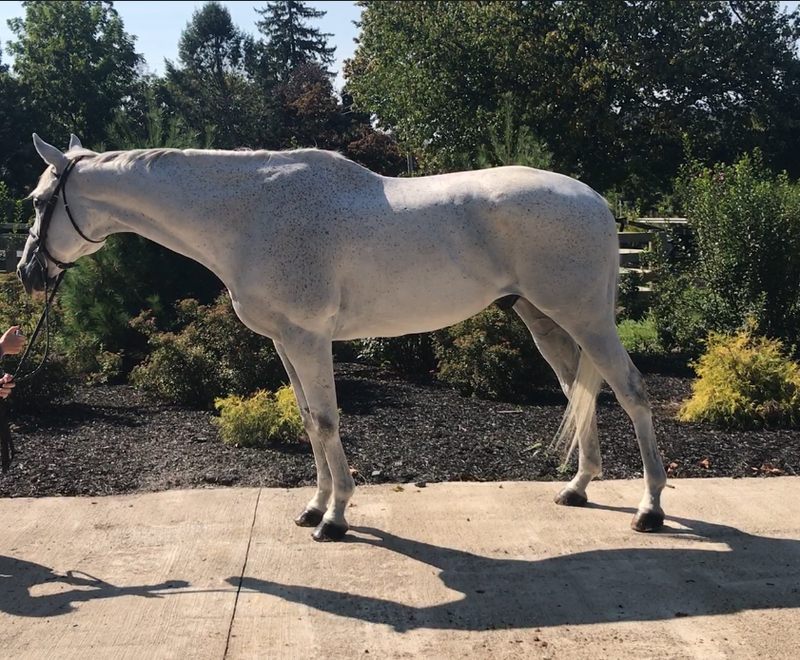 Katmandu “Dewey” 2006 16.2h dapple gray Trakehner gelding. 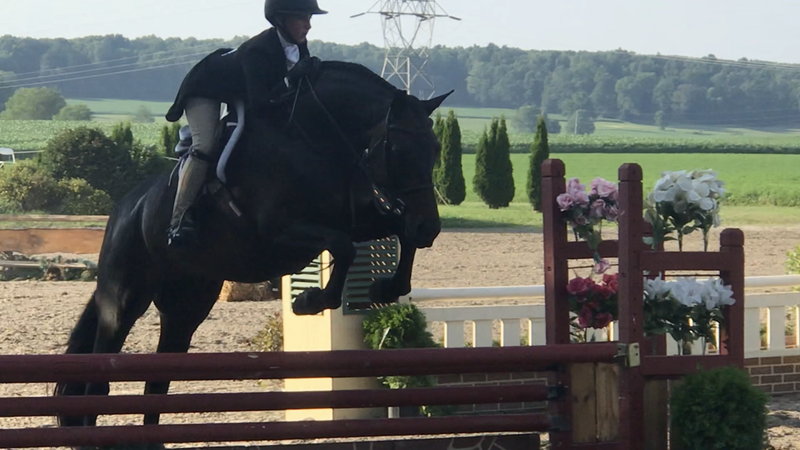 Pretty mover, great canter, very correct jumping style. Currently showing locally in the 2’6″ division. Auto changes, has schooled up to 3’6″, no problem with the height. Athletic and fancy enough to show competitively in the Green Working, AO’s or Junior Hunter Division. Eligible Pre-Green Hunter. Uncomplicated to ride, brave to the jumps. Current on everything, no vices or soundness issues. Dewey is turning into a wonderful show mount and is already doing well during this 2012 indoor season. 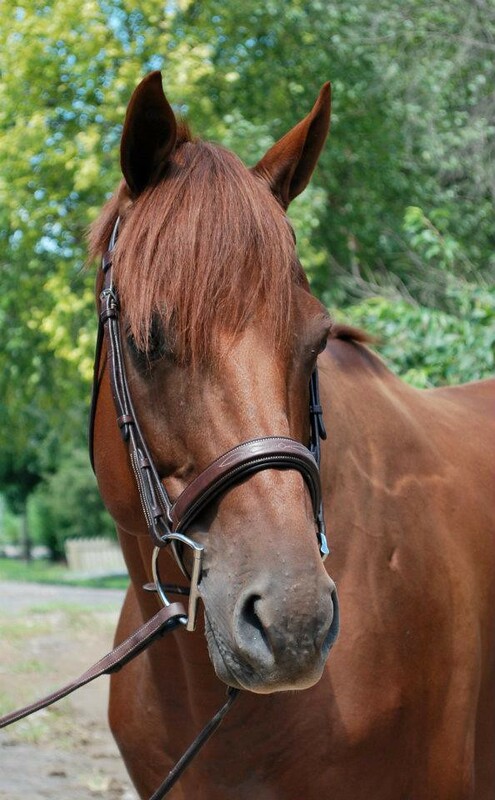 Billy is a sweet, well mannered 2007 15.2h chestnut TB gelding. 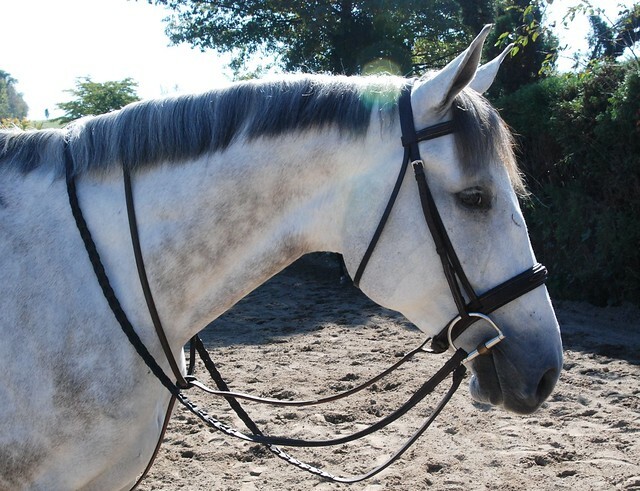 Billy is super quiet under saddle and has the same temperament when schooling small courses. He would make a great first horse for the young or green rider. Incredibly patient, comfortable and rhythmical. Quick learner and ever so ready to please! UTD on everything, no vices. 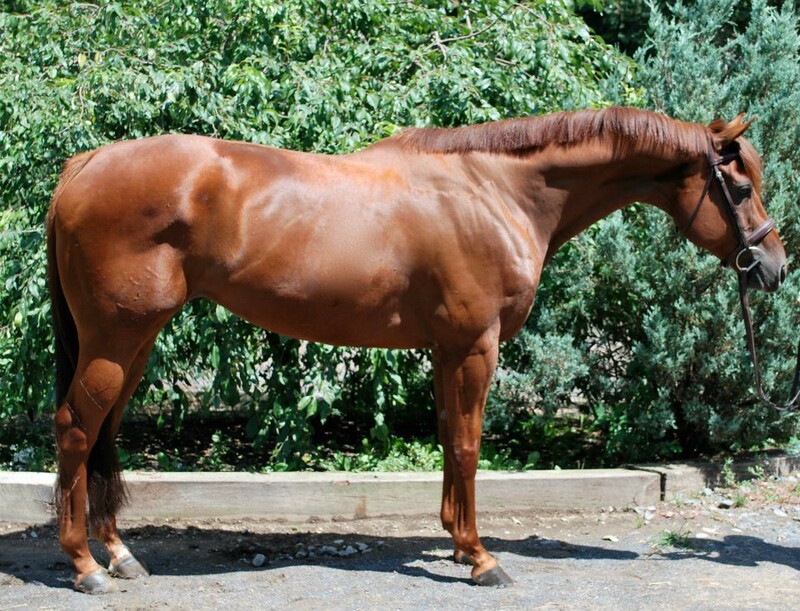 Marcus is a 2003 thoroughbred gelding. A perfect gentlemen on the ground and undersaddle Marcus jumps around a 2’9 course with lead changes. 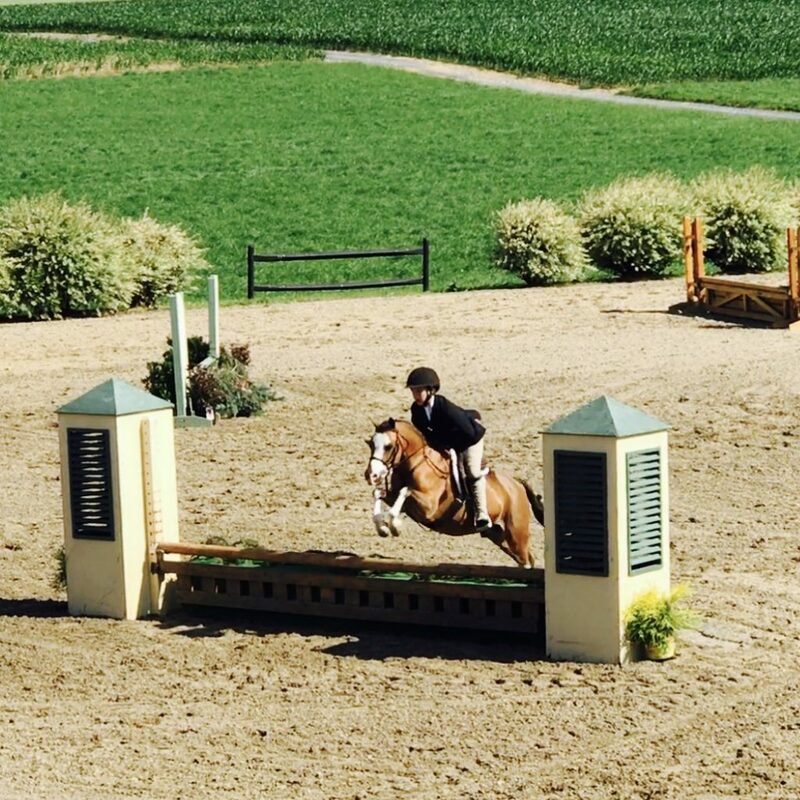 He has shown extensively in the local circuit as well as rated shows in Pennsylvania and New York. He has a smooth rhythmical canter, and very correct jumping styles. He is a pleasure at home and away. 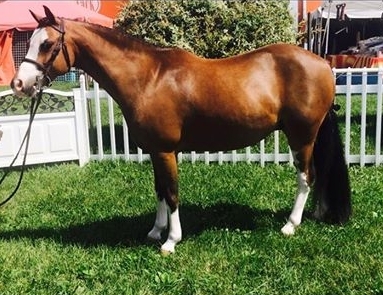 This gelding will take care of his rider in the show ring while bringing home ribbons. Loves to work and trail rider, easy to clip and load. Mapleside Dolcetto “Dominique” is a 14.1 h Welsh/Holsteiner 2003 black mare. Absolutely stunning appearance with four socks and a blaze! 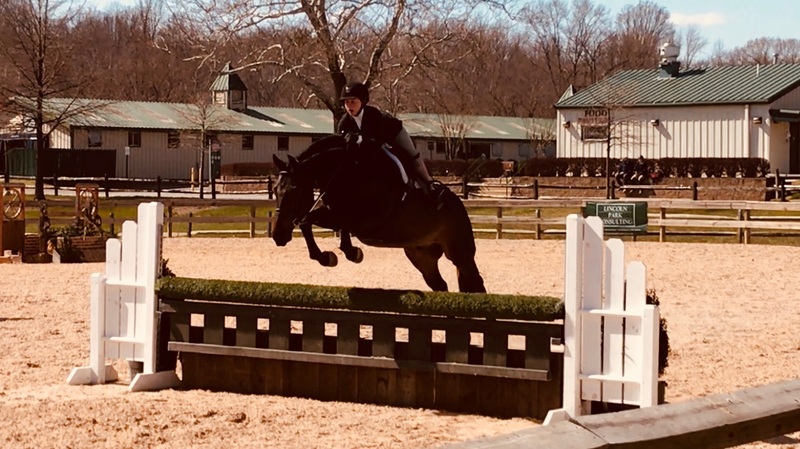 Competed in the Winter Equestrian Festival 2010 and placed Champion in the Large Green Pony Hunter Circuit AND the Overall Green Pony Circuit. She also received the James Brundage Award. Dominique is a truly special mare with an amazing temperament and jumping style. She won the Large Green Pony Hunter Over Fences class of the 2010 Pony Finals and placed fourth in the pony medals.